I have always loved Organizing. I remember when I was a kid I was always moving my furniture around and sorting the contents of my closets and drawers. I even remember begging my dad to let me clean out the garage. All that being said, I was messy. I did not like putting things away. I thought that unless things looked perfect, then it was not worth my time to clean up. Fortunately, I have grown up and discovered my truth about this adversion. For me to be good at maintaining all of the organizing and cleaning that I do, I need to have EASY ACCESS and locations for items CLEARLY marked. 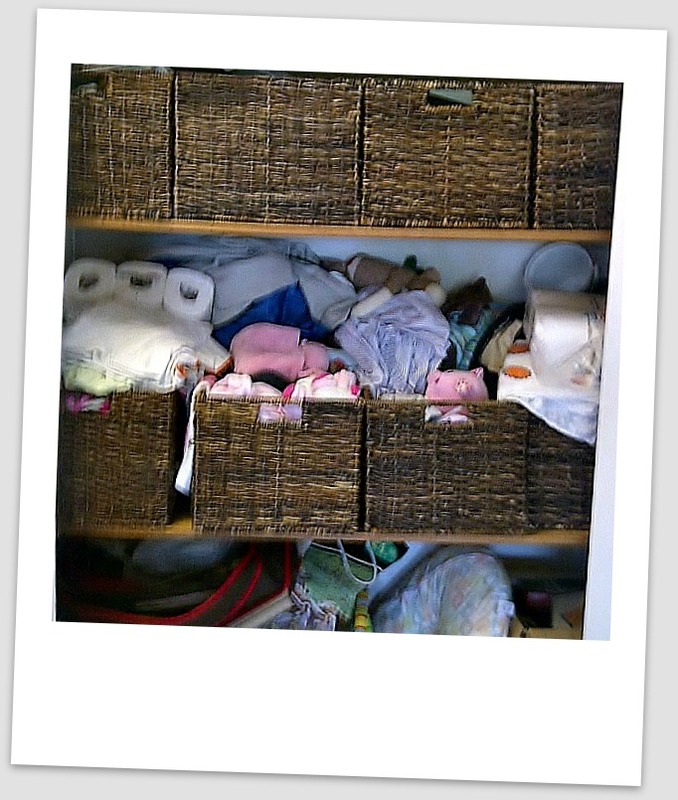 For example: I would sort my sock drawers and line each pair up perfectly by color, type, etc. The reality was that there was no way for me to keep things like this on a daily basis. 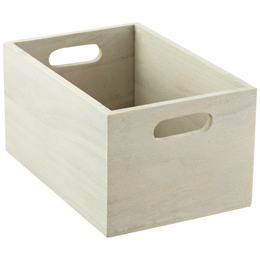 Today, I have a sock drawer that has amazing dividers for althetic socks, heavy weight socks, trouser length socks, etc. Each category is labeled. I do not have to do anything other than fold the socks the way that I prefer, look for the coordinating section and throw the pair in. I quickly noticed that the family utilized the bottom shelves most frequently because of their access. Mom and Dad shoved whatever they could into open space in efforts to put things away. Their weekly housekeeper followed suit. The first thing that I did was lower the higher shelves and positioned them to fit the containers. Now the family can access any of the containers just as easily. I then did some simple de-cluttering, tossed out a few items and gathered like items. I labeled each container and put the items less frequently used towards the top. My favorite thing to hear from a client after a quick clean up like this is that I have either unearthed something they forgot that they owned or uncovered that one thing that they have been searching for forever. Yesterday I did both! 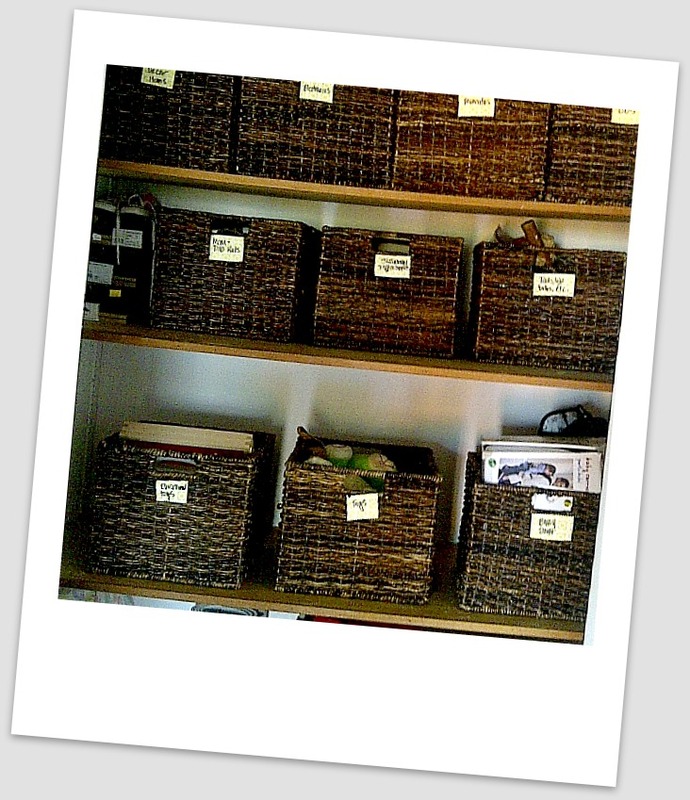 *Labeling and making each container accessible should really help the family keeps things a bit more organized.